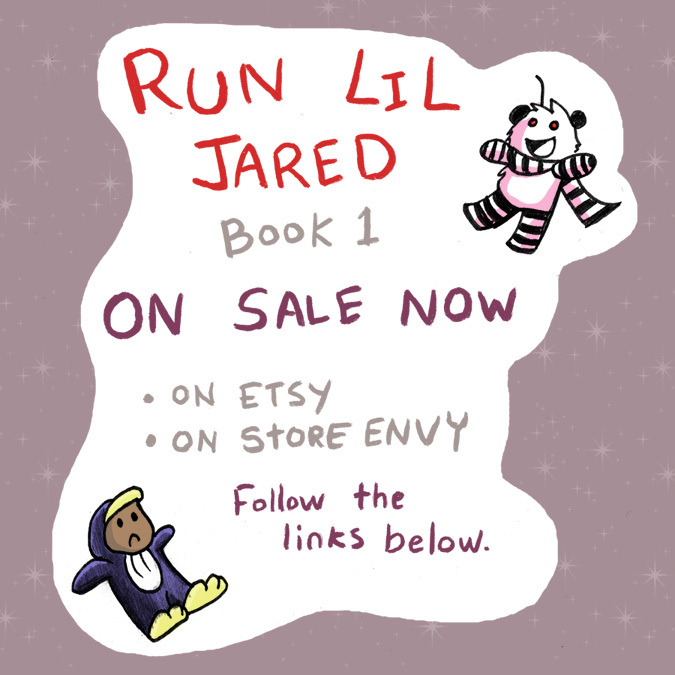 Run Lil Jared book 1 for sale here! Now available on both Store Envy and my Etsy store! Books come with an artist card sketch and 2 free buttons. If you purchase a book and you would like a request for your sketch card please email me at Rasbutain@gmail.com with your order number/ confirmation.